Skye Gravestones | Donald Matheson Macpherson. 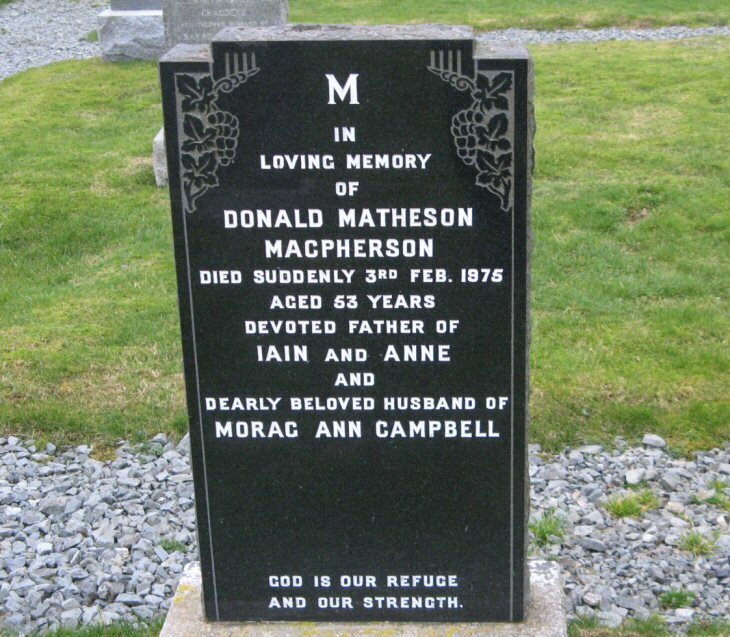 In/loving memory/of/DONALD MATHESON/MACPHERSON/died suddenly 3rd Feb. 1975/aged 53 years/devoted father of/IAIN and ANNE/and/dearly beloved husband of/MORAG ANN CAMPBELL. God is our refuge/and our strength.